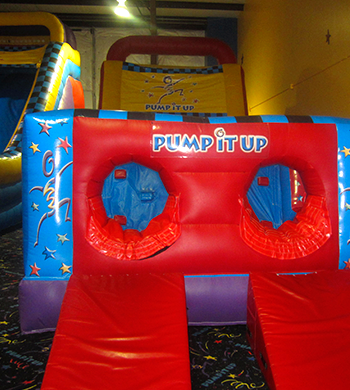 All Pump It Up parties are private and fun! 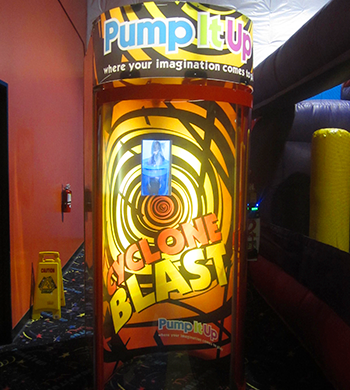 At Pump It Up of Greenville we have two fun-filled arean's with plenty to do for all ages! 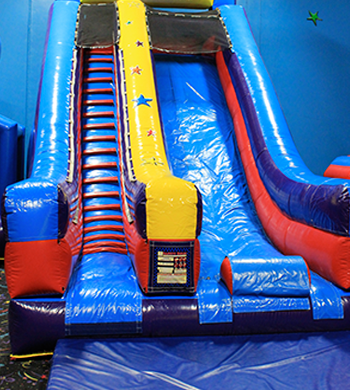 We rotate all parties to enjoy all of what we offer in a clean, safe, fun environment. 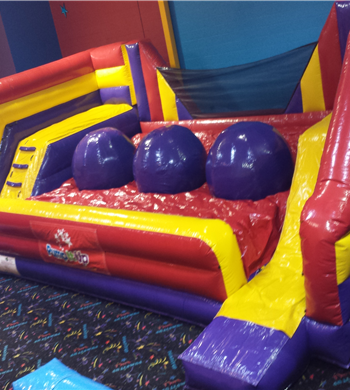 Our Brand New Moster Dodge ball! Be the winner by dodging the wrecking ball - Last one standing wins! Introducing our Brand New Canyon Crossing! 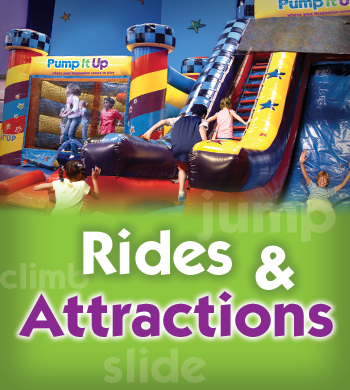 Make your way across the canyon by jumping from ball to ball- but be careful not to wipeout! Turn down the lights and turn up the fun! 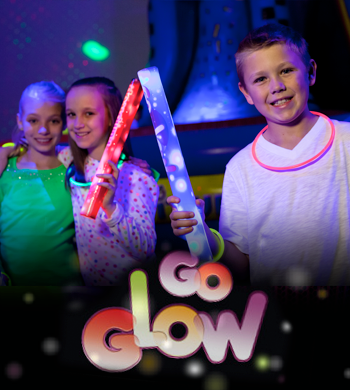 Each child will receive a glow necklace and birthday child will receive a glow baton! 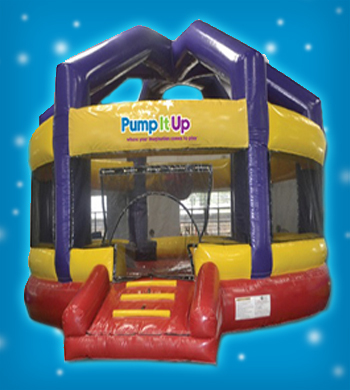 Can be added to any party or field trip. Turn these blocks into a tower, a fort or a bridge – whatever your kids could possibly imagine. 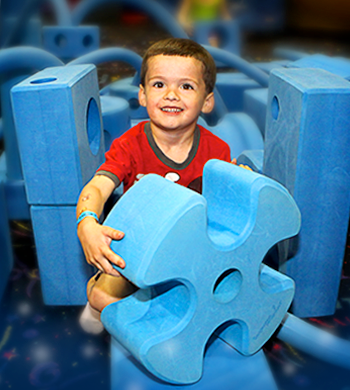 Using Imagination Playground blocks, kids build a new world every day. They make objects like animals, rocket ships, and robots. They make imaginary places like houses, factories, and cities. They make new dramatic scenarios, settings, and games to play. Most important, they make the rules. Because Imagination Playground is child-directed and open-ended, it encourages self-expression through deep, joyful play. You gotta slide it to believe it. Way cool, way high slides that take your breath away. Got a mountain in your backyard? No. Well we do! 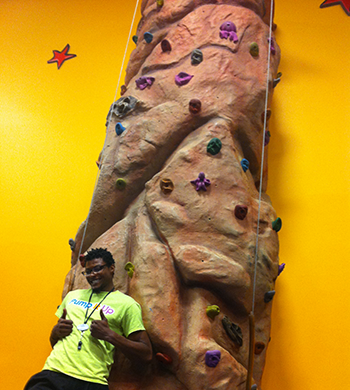 Come see if you can scale this huge rock. It's a challenge you can't resist. This one is for the little ones. Great fun in a smaller package! 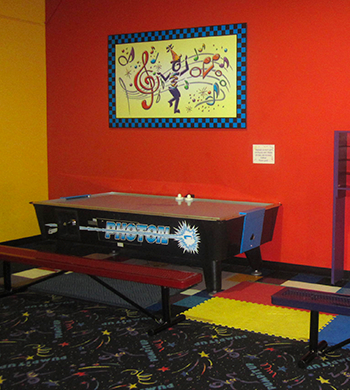 Our Brightly decorated party rooms come ready to Party! We supply all paper goods, utensils and tablecloths. 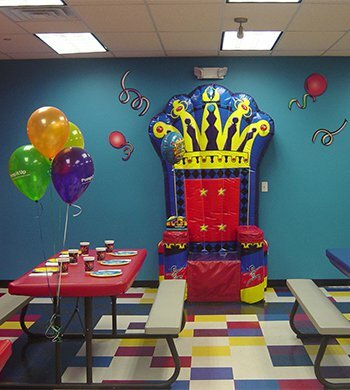 A designated party coordinator will set up your party room, help you with serving and clean it all up afterward so you can enjoy the party too! No ice needed here! Just quick hands and a wicked imagination. Ever play basketball on the moon? Wonder what it would feel like? 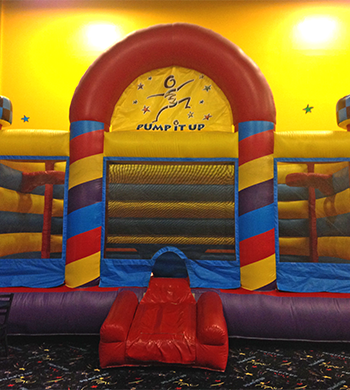 It's time to try out our super cool basketball bouncer. It's totally lunar!